My cousin (well my cousin Kathy's son) Ryan was named Pac-10 Men's Field Athlete of the Week. 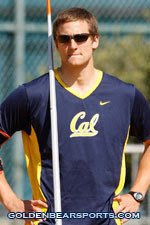 He throws javelin for Cal and is a certified STUD!! Click here for the full article. I wish I could say that I taught him everything he knows....but that would be a lie. I threw in high school, Shot Put, 2nd in state my senior year and Discus, 8th place in state. I tried javelin once and thought that I was going to throw my arm out of socket. 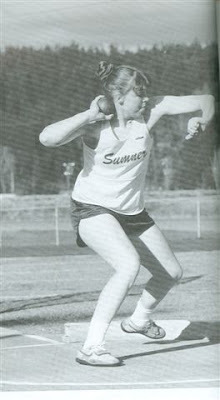 Nice form on the shot put! 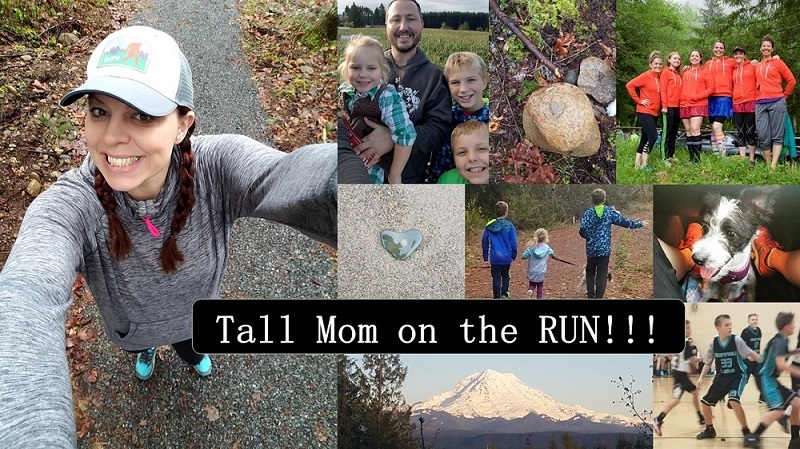 How far did you throw?? I agree... Stud, for sure! Why is your picture in black and white? You're not that old! JK... I'm guessing it's from a yearbook?? Yep - super stud. I love the old photo :) Have a great trip!